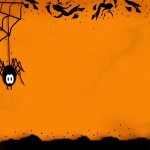 Surfnetkids » Halloween » Safety » Kid Glows In The Dark On Halloween Night! Kid Glows In The Dark On Halloween Night! Halloween is a time of year that is really quite exciting for younger kids. How can you blame them? They get to dress up in cool costumes, stay up late and go all over town getting free candy from people. It can be a very fun and safe time for them if you help them prepare for that night to be as safe as possible. Halloween night is dark, and a lot of costumes are dark as well. Take a little kid dressed in black and have him dart into the street, it might darn well be impossible for a driver to see him until it is too late. Don’t let that happen to you and your family. Here are some ideas and tips on how to make your child more visible on Halloween night. Most state laws require night cyclists to have reflectors and/or lights that can be seen several hundred feet before a car reaches them. It might not be a bad idea to aim for those numbers as best you can with the things that are available to you. One easy idea to start out is to buy a light-up jack-o-lantern trick-or-treat bucket for your kid. If they are less than nine years old, that still might be socially acceptable for them to have in front of their peers. 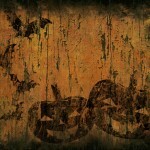 But then again, they are wrapped in ghoulish attire, so who’going to recognize them? Another idea is to incorporate lighting into their costume. For example, a light-up light saber can be bought at any toy store and would go perfect with a Star Wars costume. Probably the easiest way to go is to give your child a flashlight for their own sake of being able to see. If they can see what they are doing it will go a long way in that they will make smarter choices of where they are going. It’ll also help keep them from falling and hurting themselves because they can brighten up their path. Reflective clothing is another way to go. Most costume companies try to make material that reflects headlights back at the driver, but they are not required to do so by law. It wouldn’t be a bad idea to purchase your own material and try adding it to the costume or making a completely homemade costume with the reflective material. What the material does is allow drivers to see from a good distance away. The reaction time of drivers varies, but if their reaction time is too terrible, they shouldn’t be on the road in the first place. So pound it into your kid’head to look both ways and yield to traffic. Most state law requires that traffic must yield to pedestrians, but I think it’obvious who would win between a four year old and a large truck. Another good way to make a child more visible at night is glow in the dark products. Necklaces, bracelets, anklets, and makeups are all easy fixes to make them more visible. Glow in the dark makeup works great. If they stand real close to each porch light, the glow in the dark makeup will get charged and when they walk into the dark their face will be as bright as day. 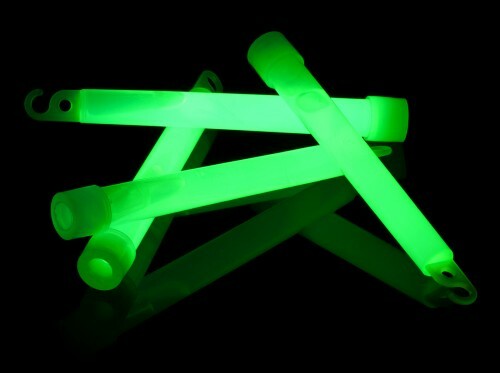 Glow sticks are different from glow in the dark material because it is the mixing of chemicals that creates a reaction in which light is produced. Some glow sticks can produce light for well over an hour. Buy a few of those for your kid and they will definitely be seen from a good ways away. These are some easy ideas to help make your child more visible. Whatever else you can think of that would be better, go ahead and do it. Share your ideas with others and help make your neighborhood a safer place for kids to go trick-or-treating.